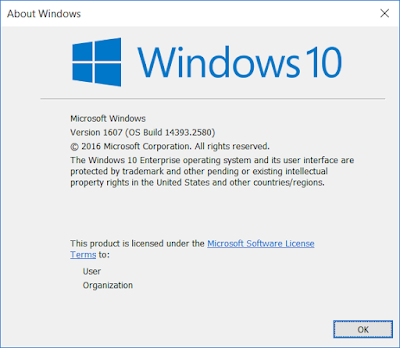 Windows has command line utilities that show us the version of the Windows OS running on the computer, including the service pack number. There are multiple CMD commands that help with finding this, you can pick the one that suits your need. Ver command can show you the OS version whereas Systeminfo command can additionally give you service pack, OS edition and build number etc. Do the following steps to find version. As you can see above, ver command shows only OS version but not the service pack number. We can find service pack number as well with Systeminfo command. Systeminfo dumps lot of other information too, which we can filter out using findstr command. This command works on XP, Vista and Windows 7 and on Server editions also. Find below example for Win7. In case of Windows 7 SP1, the output would be slightly different as below. If you want to print more details, then you can use just ‘OS’ in the findstr search pattern. See example below for Server 2008. Run the below WMIC command to get OS version and the service pack number. If you want to find just the OS version, you can use ver command. Open command window and execute ver command. But note that this does not show service pack version. This command does not show version on a Windows 7 system. How to find windows edition ? Execute 'Winver' from command prompt or from Run window. It will show you the windows version. I was looking for this…I had to write a script which runs on different windows editions and I need to capture the os name..this post helped me..thank you.. Very helpful if I want to do a remote command without GUI. Thanks a ton! Thanks friend for the tip..I need to find os version from windows dos and this has helped me.. I realy needed this tip. How can I script this for multiple servers and save the output in csv format? Run the below command on each of the servers. On my xp system it prints the following data. You can use psexec.exe or rsh tool to run this command remotely on the servers. How to find the bit size? systeminfo | findstr /C:"System type" would give you the processor architecture. From this you can derive if it's 32 or 64 bit. You can also use wmic cpu command to get processor info. I was wrong, systeminfo | findstr /B /i /C:”System Type” does show the bet depth of the OS. I just ran the command on a quad core Celeron with a windows 10 enterprise 32 bit and it returned “X86-based PC”. How to get the OS name and version for a list of servers ? Run the command mentioned in the post on each of the servers using psexec or rsh. I will soon add a post on psexec. I need to find the image version of a windows 7 installation. What command do I use to find out? If I have understood correctly, you have different images of Win7 and you want to find out which image you have installed on the computer? AFAIK, windows can’t do that. I can think of a workaround for this. You can add custom reg key and set the image version number in that and then create the image. And on the installed computer, you can do reg query from command line. The quotes are incorrect ASCII characters (MS Office quotes). I’ve fixed the issue in the post. Copy pasting the command would work fine now. Thank you for pointing that out. You can use registry keys in that case. check this out. you will get windows version information on GUI. Checked when installing mango db ..
wmic command is not working …. any idea on the same ? What could be the probable solution to make work of wmic command ? checked a few sites.. but found the exact answer..thx..
i want to know the o.s. details of remote computer through command prompt or program…. This was exactly the info I was looking for. Rest of the ‘Comments’ were also very informative. Thank you all you guys. Thank You so much. I am using windows 7 but the systeminfo cmd isn’t work. when i typed, it displays “systeminfo” is not recognized as internal & external cmd. How to solve this problem?? 6 years from original post and still useful for another person. Thanks very much. Hey! Please, use the first way only to yourself. The first way is slow, but most importantly – it won’t work for other locales than EN. For other locales it will get either blank result or incorrect result. This post is old, these were different times. As a coder, I’d say that nowadays second way is safe to use. There’s no point in keeping compatibility for OS made 15 years ago (XP). Please note: systeminfo | findstr /B /C:”OS Name” /C:”OS Version” – this command doesn’t work globally, only works for English language Windows installations. For example in a German language Windows the systeminfo output writes “Betriebssystemname” or “Betriebssystemversion” instead of “OS Name” or “OS Version”.